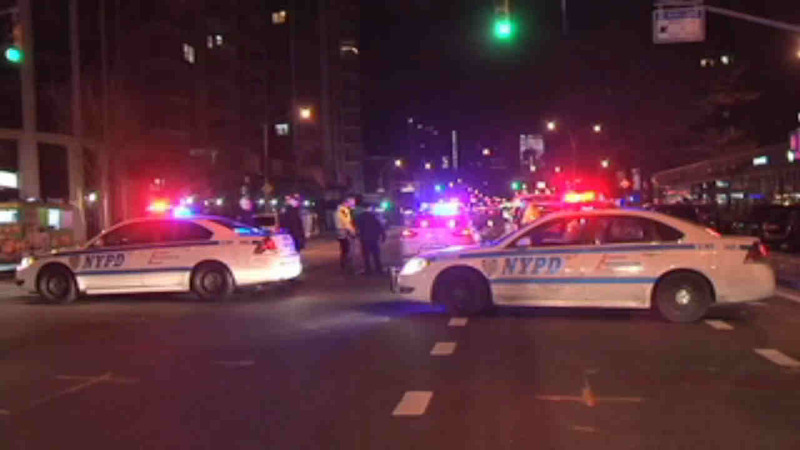 GRAMERCY, Manhattan (WABC) -- A suspect is under arrest in a deadly hit and run in Manhattan. Police say 68-year-old John Bangura is the driver of the yellow cab that hit 44-year-old Kenya Flores of the Bronx in a bus lane on First Avenue near Stuyvesant Town shortly after 3:30 Saturday morning. Investigators believe Flores was lying in the street when she was hit. A cane found nearby may have belonged to her. She was pronounced dead at Bellevue Hospital. Police say Bangura was later arrested on a charge of leaving the scene of an accident resulting in death. The Taxi and Limousine Commission says Bangura's TLC license has been suspended pending the outcome of the investigation.